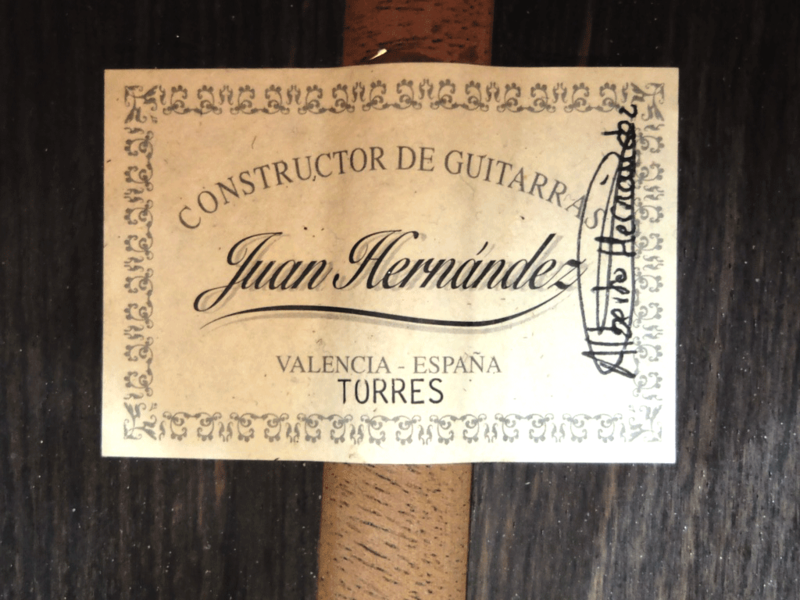 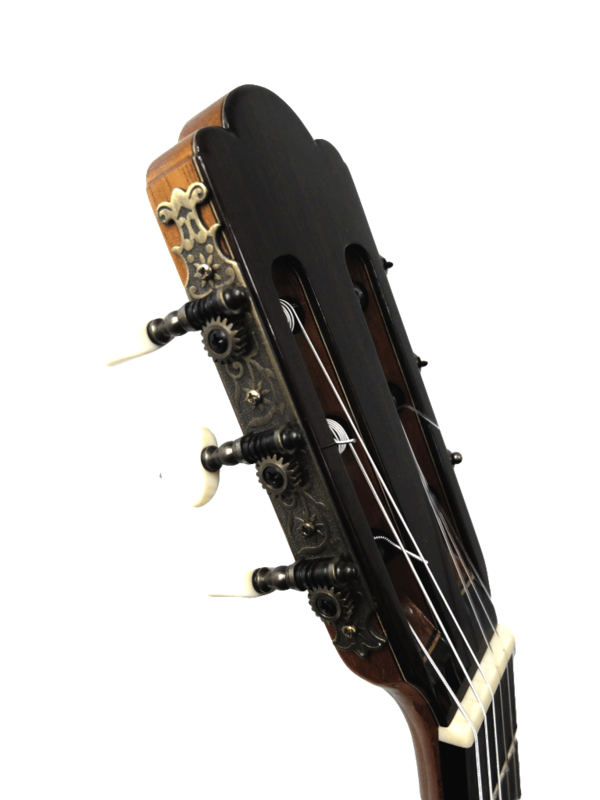 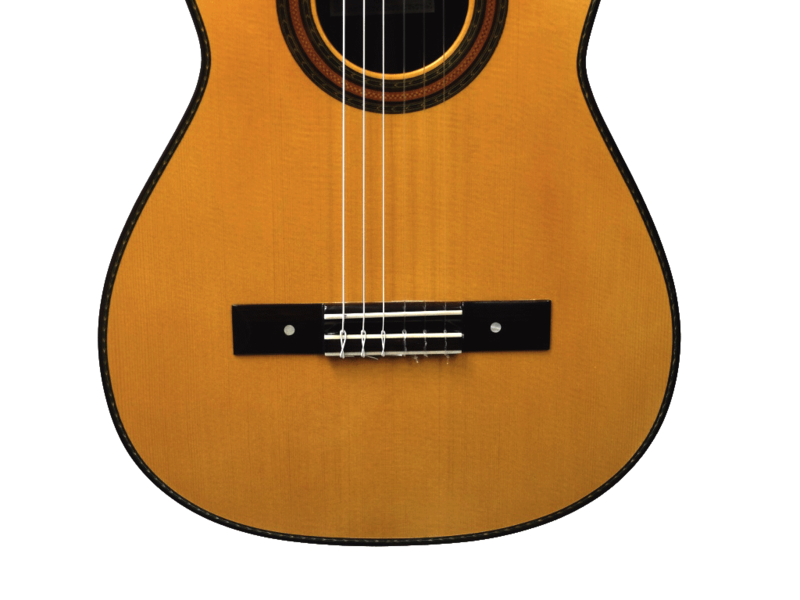 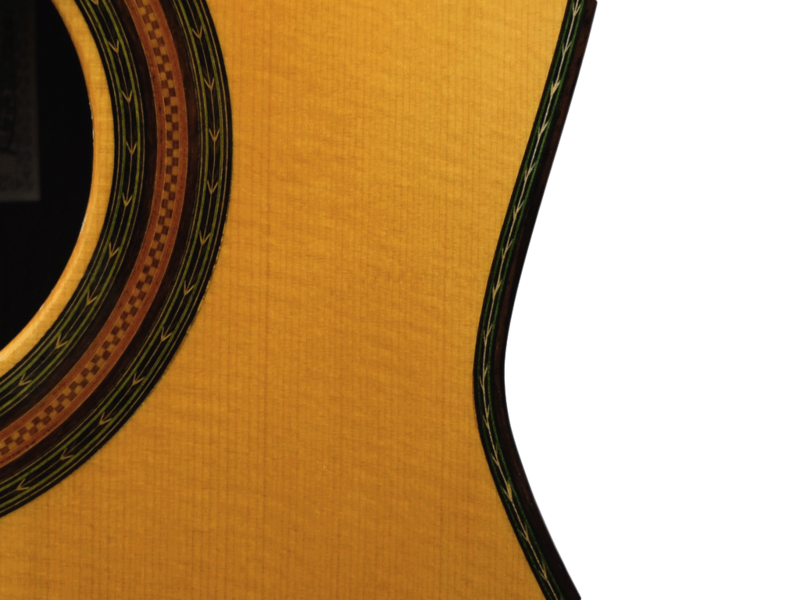 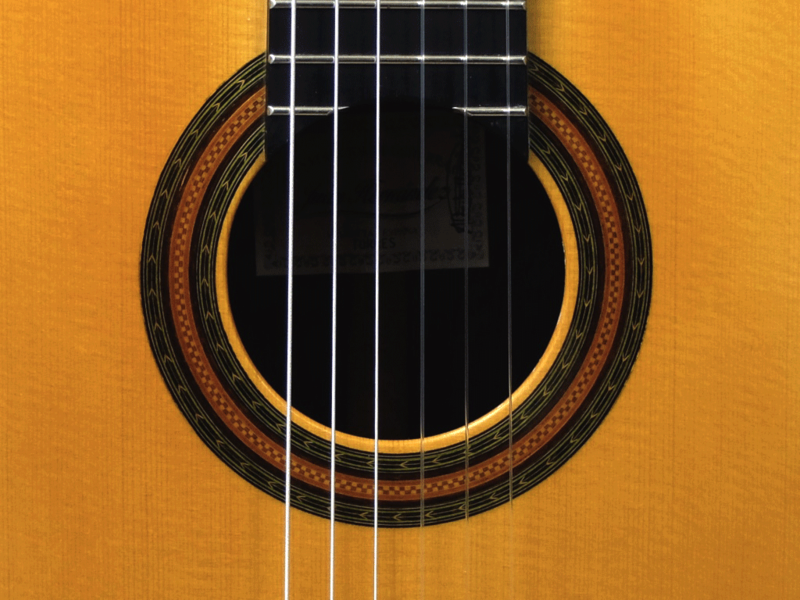 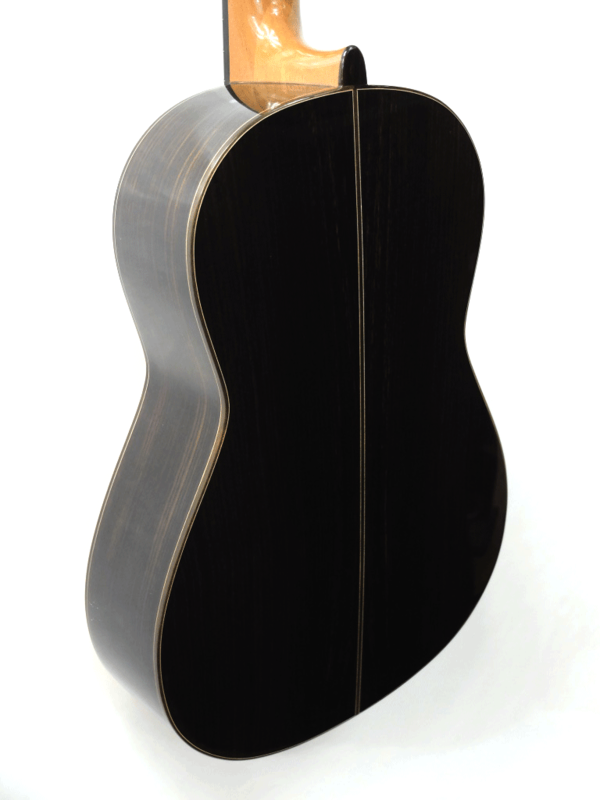 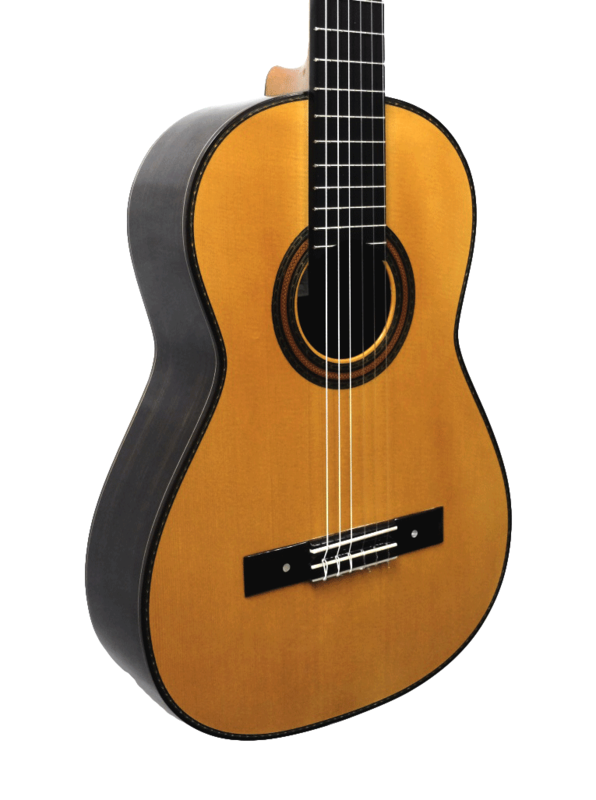 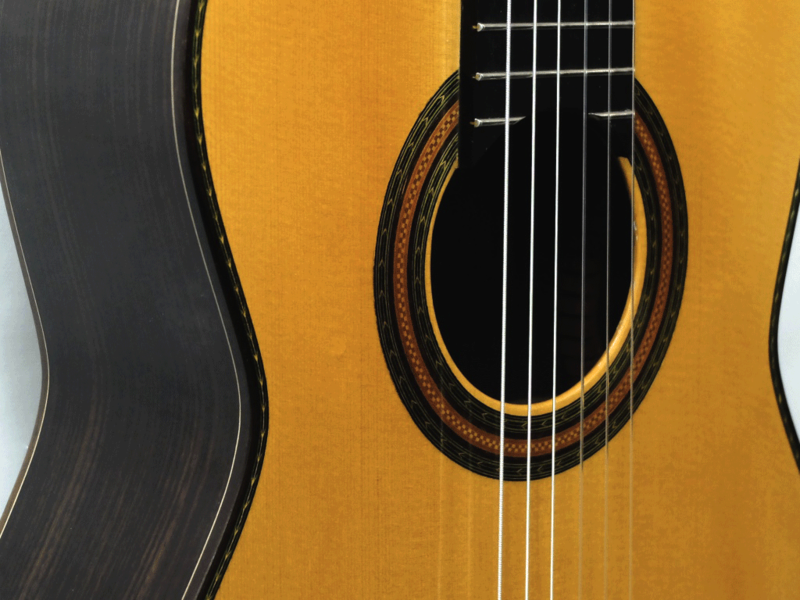 This guitar, by Juan Hernández, draws its inspiration from an instrument by Antonio de Torres : the two mother-of-pearl dots on the bridge allude to the 1888 guitar owned by Tàrrega. It has a well-balanced tone, with a soft, warm and singing sound. 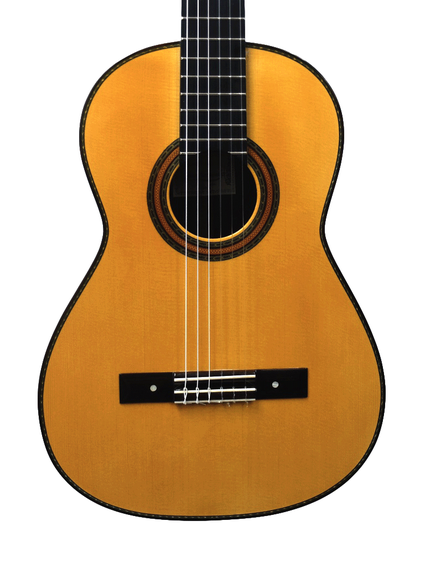 The body size, consistent with the 64 cm scale, makes it a very pleasant and easy instrument to play.